The sound and sight of water can instantly calm the senses. When I lived by the ocean I always felt calmer while walking on the beach or sitting on the beach looking out over the horizon. It provided tranquility and dispensed any restlessness. Rivers, lakes (big and small) provide the same feeling. 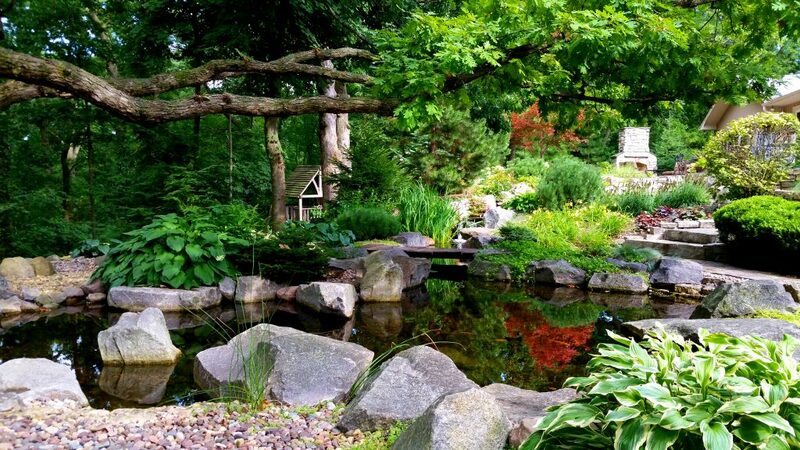 Now imagine being able to go home at the end of a long day and sit outside and look, not at just your grass, but at a beautiful pond complete with a stream and maybe even a waterfall. All the stress from your day melts away as you sit near your pond and listen to the water flow over the rocks and boulders. It sounds just like it does when you are hiking through the woods and hear the flow of water and stumble upon a river. It really is your own personal backyard oasis, one you can escape to when you want, stay for as long as you like, and return to as often as you like. 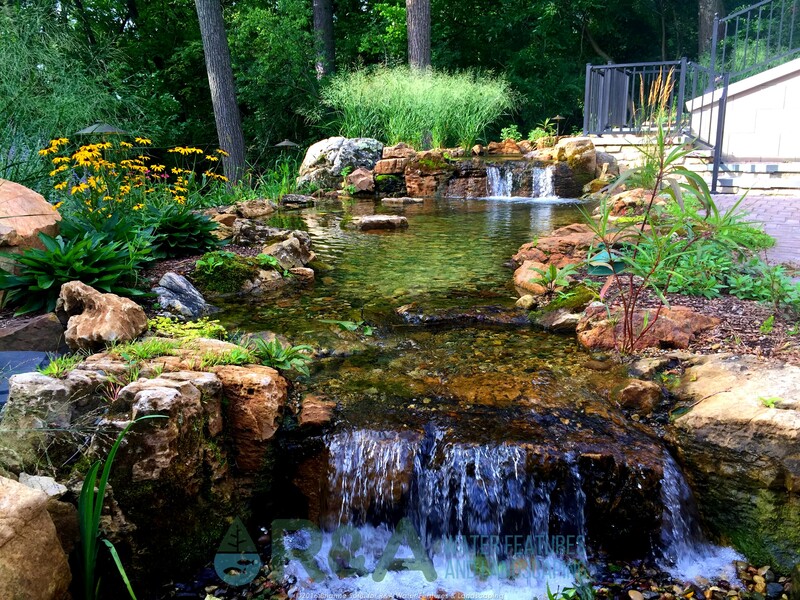 There are so many reasons to have a pond, including the reasons mentioned above. Another reason is a bit bigger than the above, and has to do with the bigger picture. 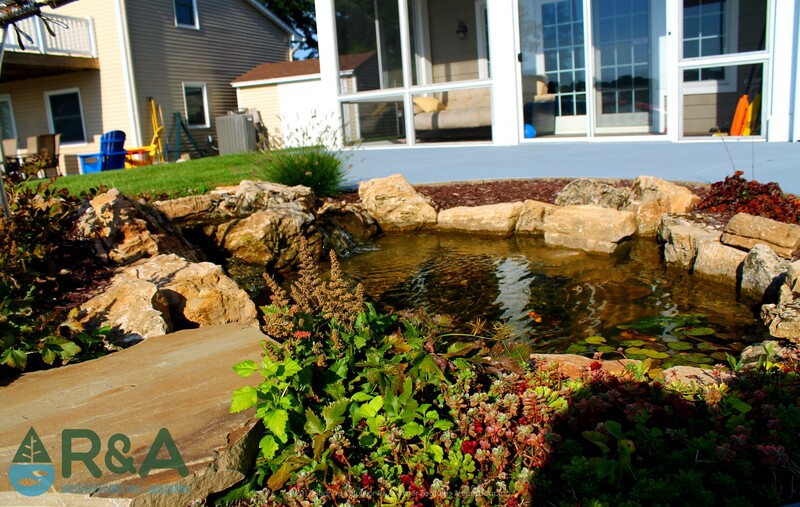 Installing a pond in your backyard is making a decision to contribute positively to the larger ecosystem. When you have an ecosystem pond in your backyard, you are creating a habitat for animals to live; for shelter, for food, for safety. Most of the animals that may live in the pond will be small, from dragonflies, toads, frogs, turtles, to birds, but animals of all sizes have a role. Since we mentioned ecosystem, no ecosystem is complete without water. Initially it takes gallons of water to fill a pond, but the pond itself is self-sustaining and requires minimal maintenance. The lawn that was removed, to make way for the pond, actually required more water and maintenance than the new pond. A nice sustainability feature of owning a pond! Of course, its not all about the ecosystem or how much water you may save, there is much more to look forward to; pond plants and fish are what many people look forward too.